One 8 ounce container of Crème Fraîche used in this recipe. 1. 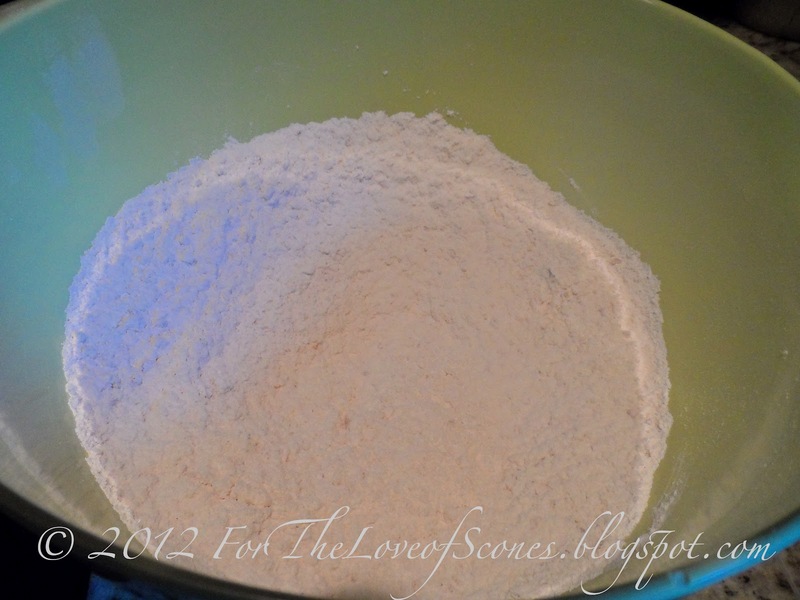 Whisk together all purpose flour, salt, sugar and vanilla bean paste. 2. Add the Crème Fraîche and use a spatula to integrate as well as you can. Add the cinnamon chips and mix well. 3. 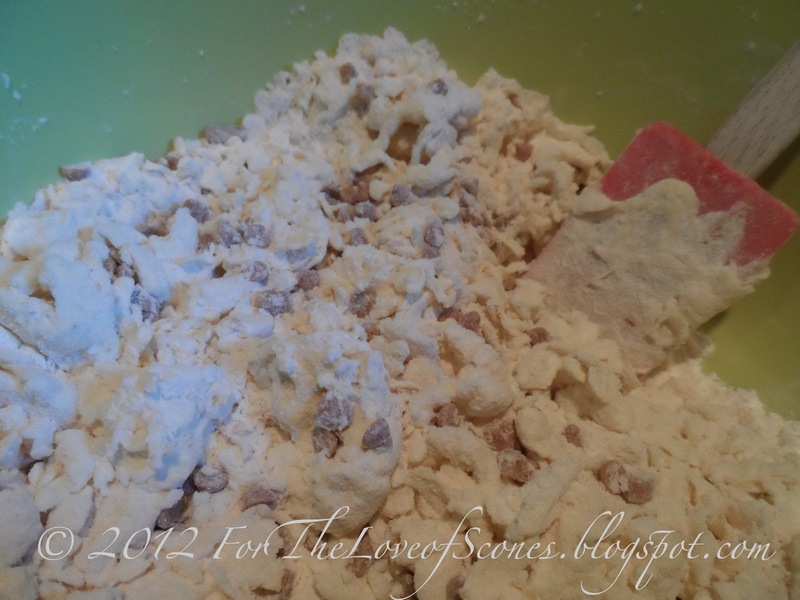 Add about 1/3 cup of water and mix until the dough comes together, adding more water if necessary so that there is very little floury matter to integrate. 4. 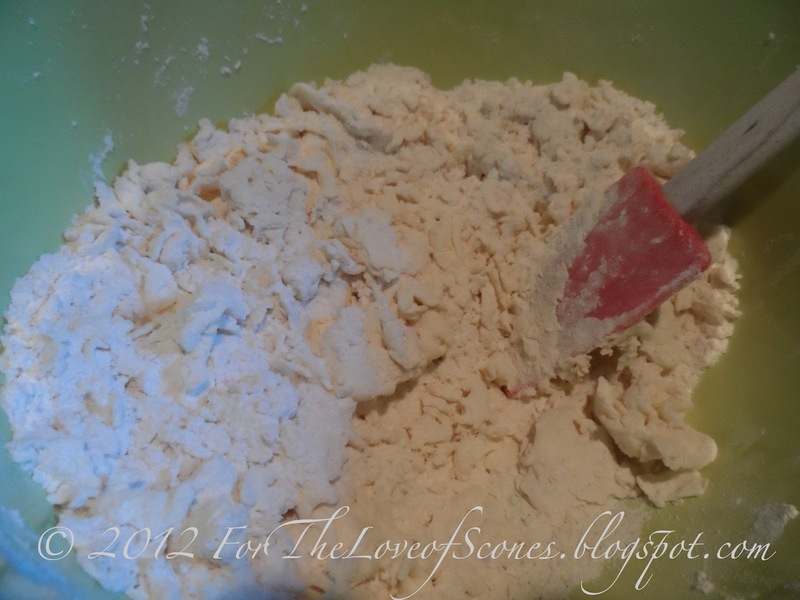 Knead dough once or twice to bring together. 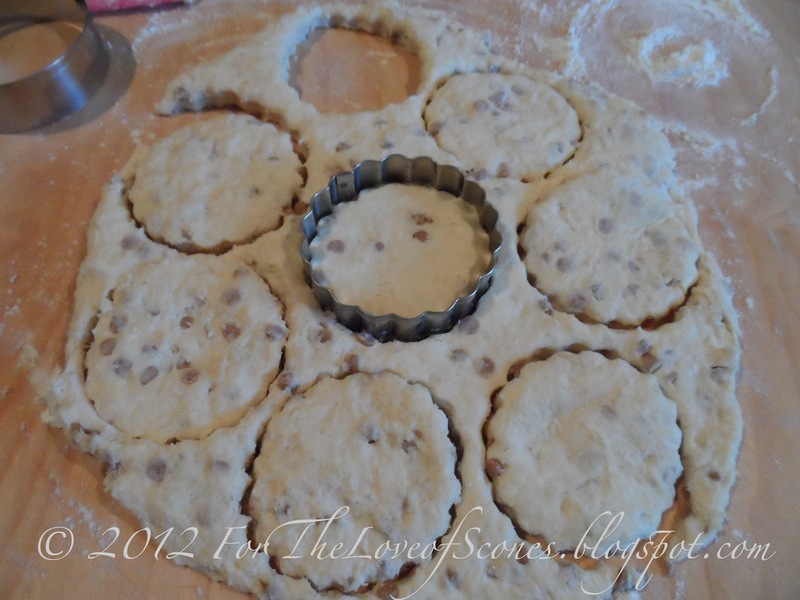 Press out dough on countertop to about 1/4 inch high and, using a round, floured cookie cutter, cut as many scones as you can from the dough. Bunch together the scrapes, kneading minimally to bring together, and press out again, cutting more scones out. 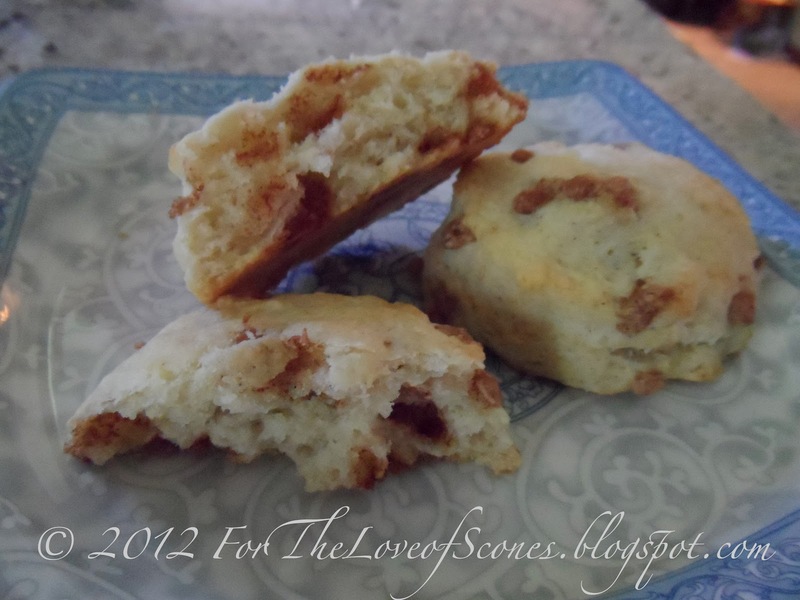 With the final scraps, roll into two balls and flatten to free-form the final scones. 5. Bake at 450ºF for approximately 13-15 minutes or until lightly golden. 6. Allow to cool for 10 minutes, then enjoy with a cup of coffee. 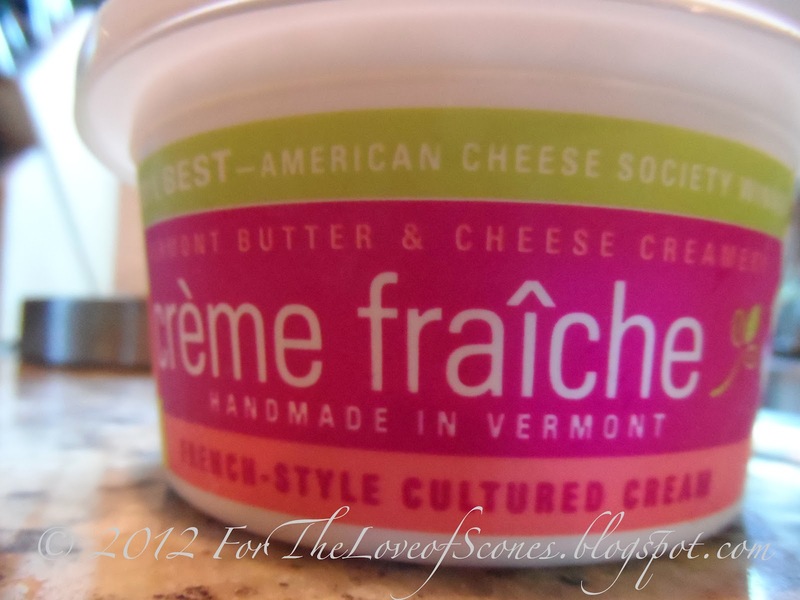 After adding the Crème Fraîche, you’ll have a mixture looking something like this. 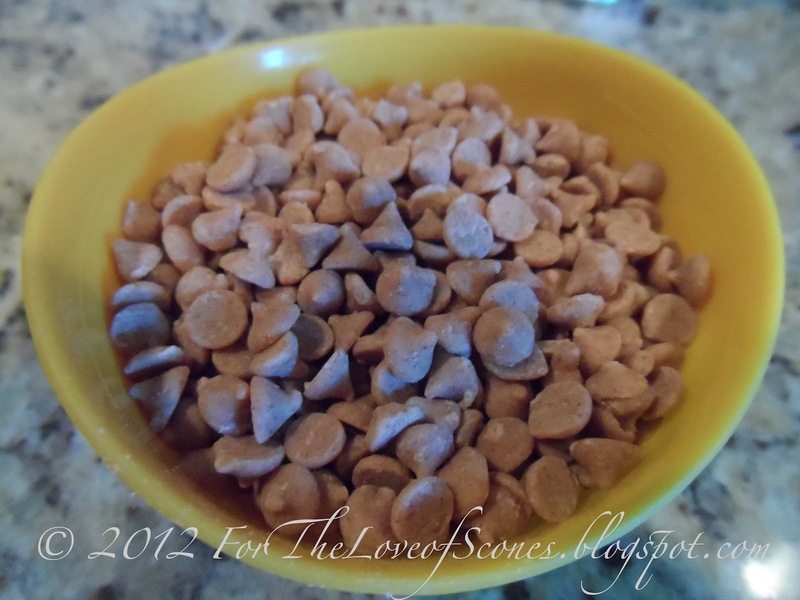 About 1/2 cup of cinnamon chips to add after mixing the dry ingredients with the Creème Fraîche. Dry ingredients, Crème Fraîche and cinnamon chips mixed. 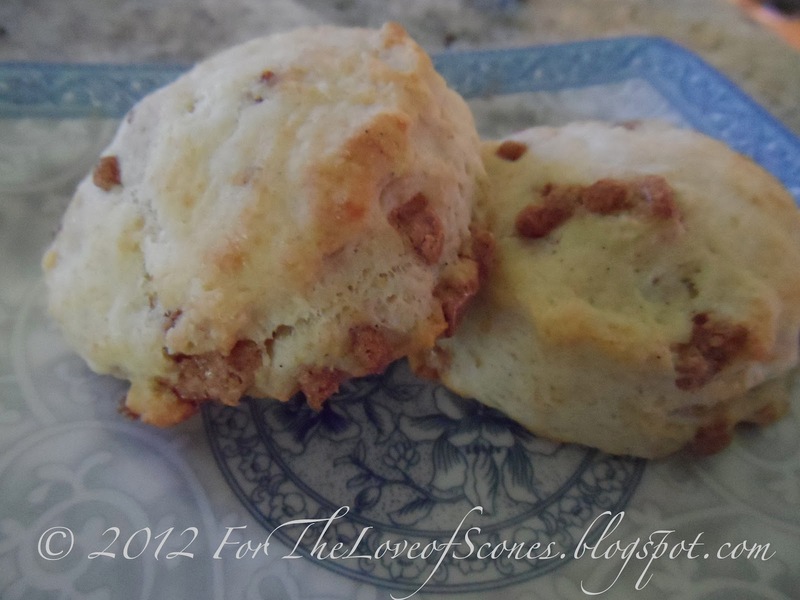 After adding water and rolling out, the scones should hold together nicely. 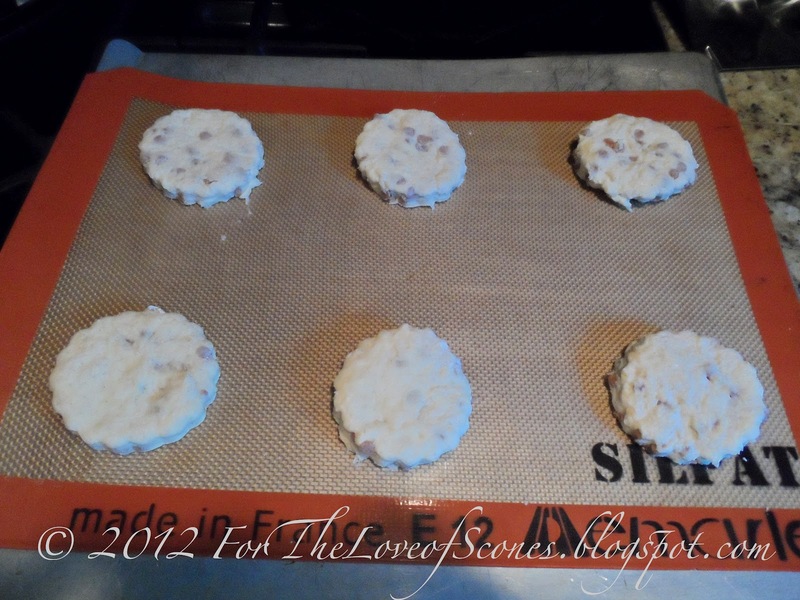 Roll to a 1/4-1/2 inch height and use a cookie cutter to cut out the scones, rerolling the scraps as necessary. Cut out and ready to bake. These were almost a complete experiment, but they turned out excellent. Reminiscent of cinnamon rolls in both smell and taste, they were perfect alongside my morning coffee.